Task: to develop Saint Petersburg advertising addressed to foreign tourists. 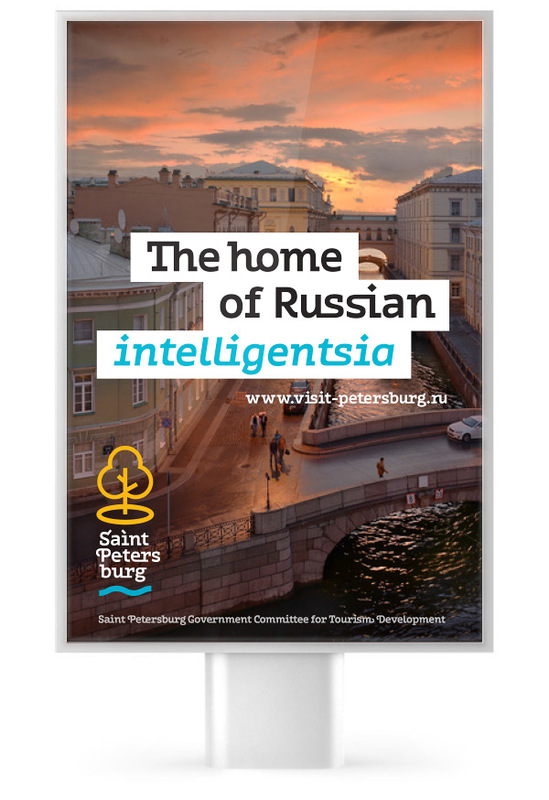 A series of posters explaining the typically Russian ideas to foreign visitors is used to advertise Saint Petersburg in world’s largest airports. A universal phrase was created at the studio which, when matched with a suitable word, creates an apt slogan. We’re going to Saint Petersburg!